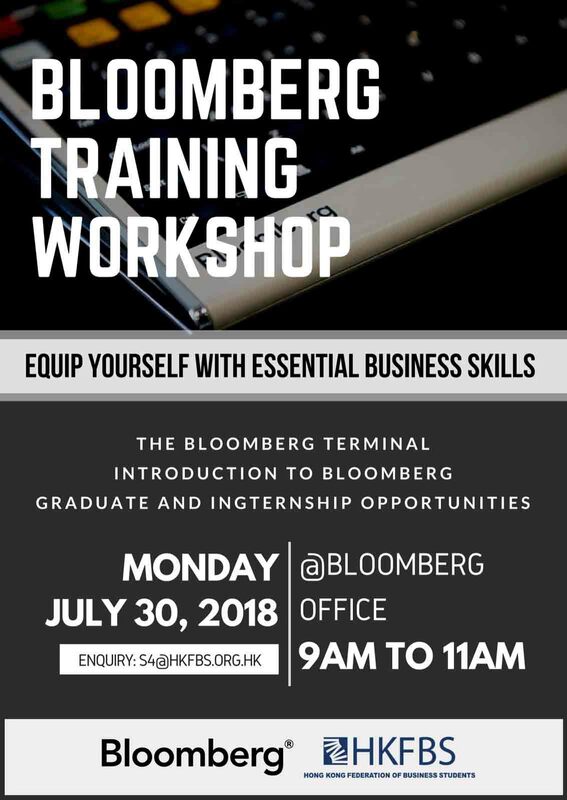 The Bloomberg Training Workshop is a valuable opportunity for business undergraduates to gain deeper insights into the world of financial and data analysis. The workshop touches upon basic and fundamental knowledge about the financial market, covering topics including Bloomberg’s role, founding history, products and solutions. Students will also be introduced to the basic functionalities of the Bloomberg Terminal, as well as graduate and internship opportunities available. Bloomberg is the globally trusted source of information for financial professionals and businesses, combining innovative technology with unmatched analytics, data, news, and display and distribution capabilities, to deliver critical information via the Bloomberg Professional service and multimedia platforms. Bloomberg Terminals are currently in use at over 300 universities globally, across 45 countries.